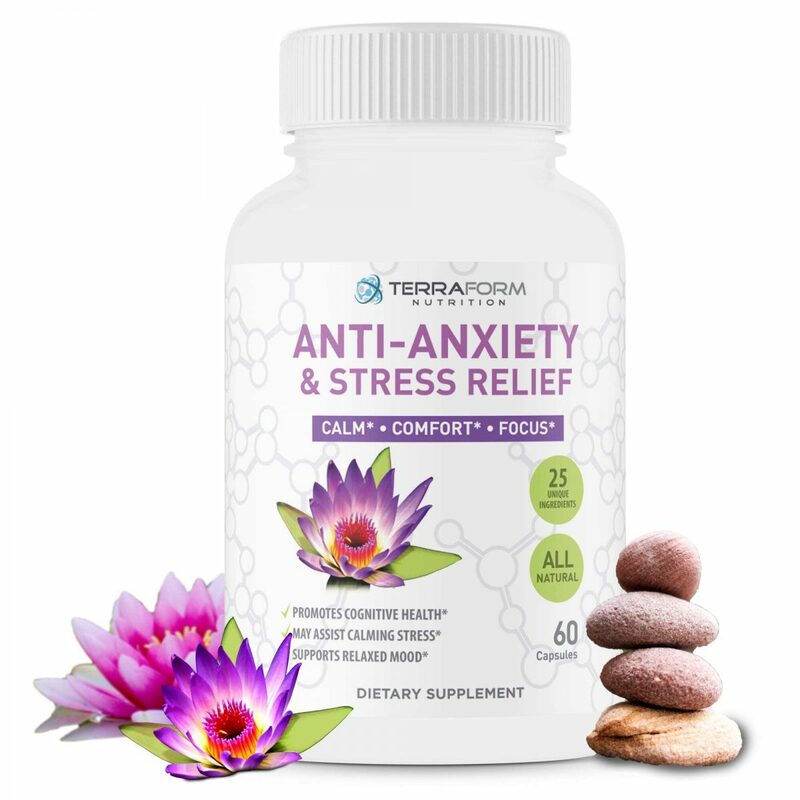 Reduce Anxiety & Stress Today – Specifically formulated to help support a relaxed mood, calmed nerves & reduce stress*. 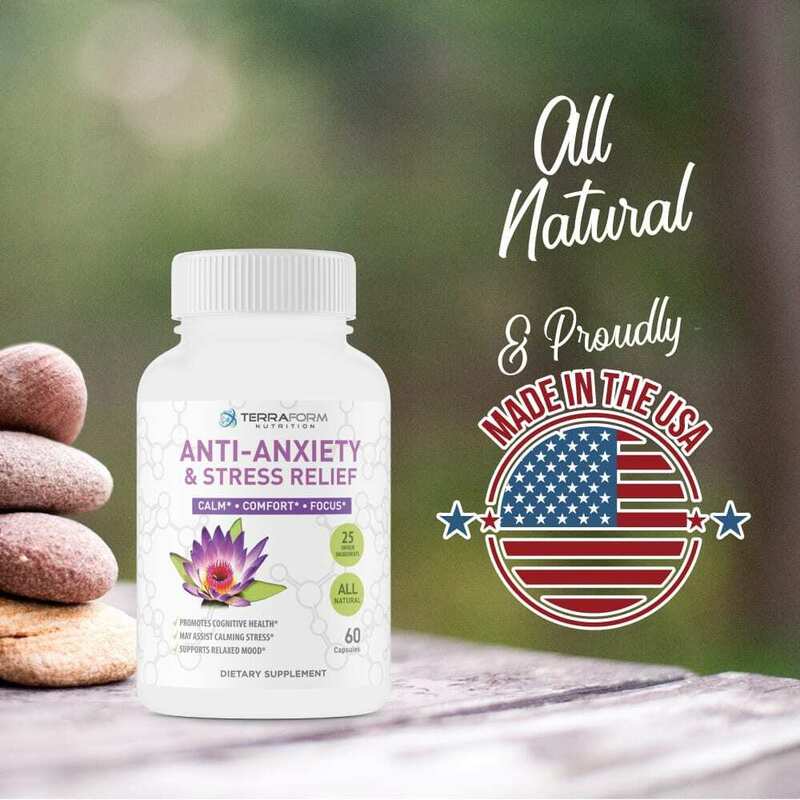 If you are 1 of the 15 million Americans that are affected by some form of anxiety or stress, it’s time to get back to the calm, joyful life of the past. 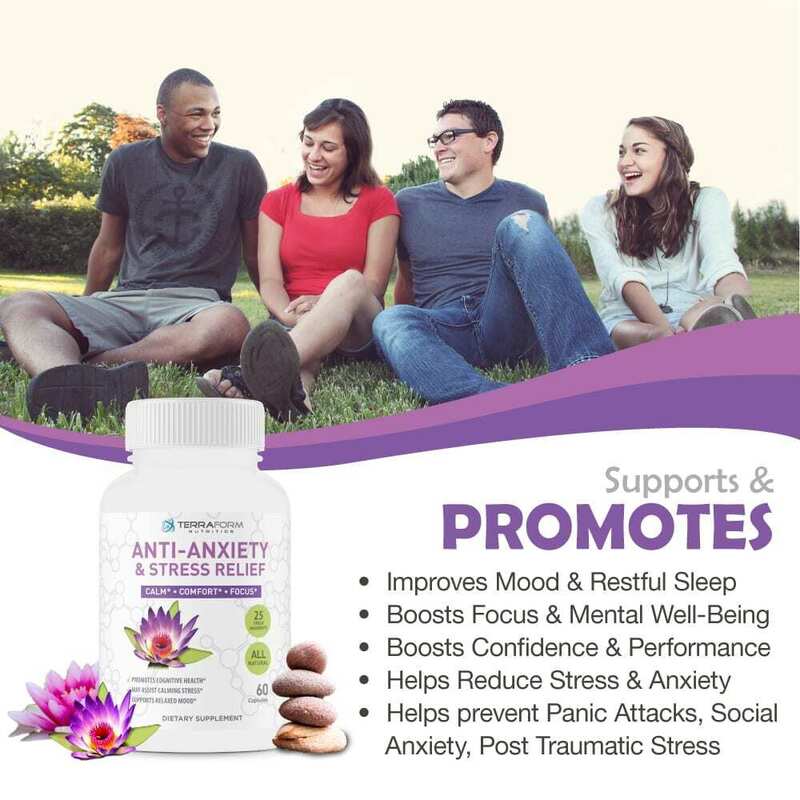 We have put together an all-natural formula that will help improve your mood and reduce stress without side-effects. 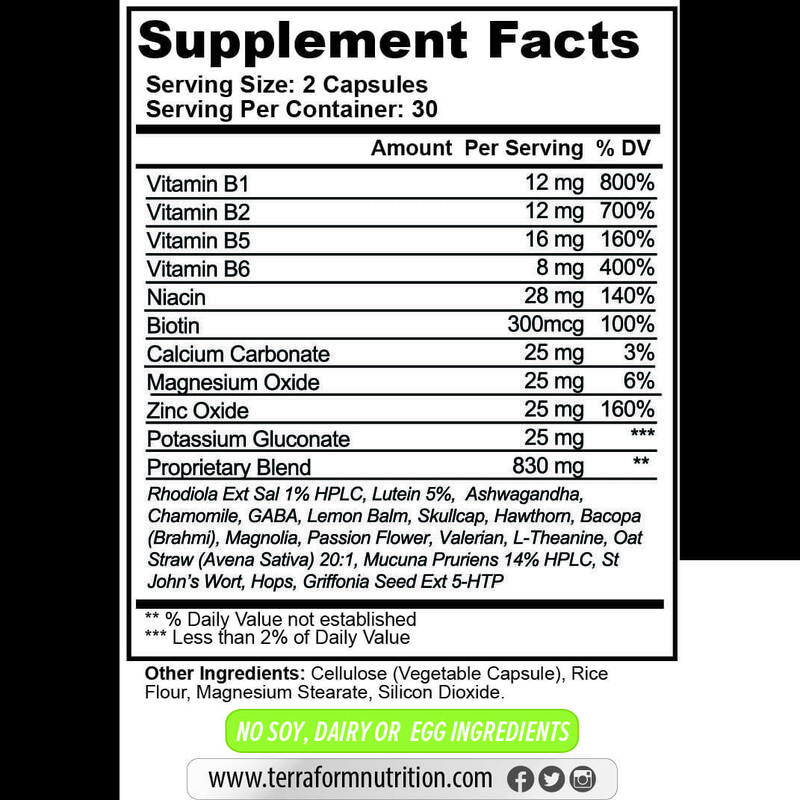 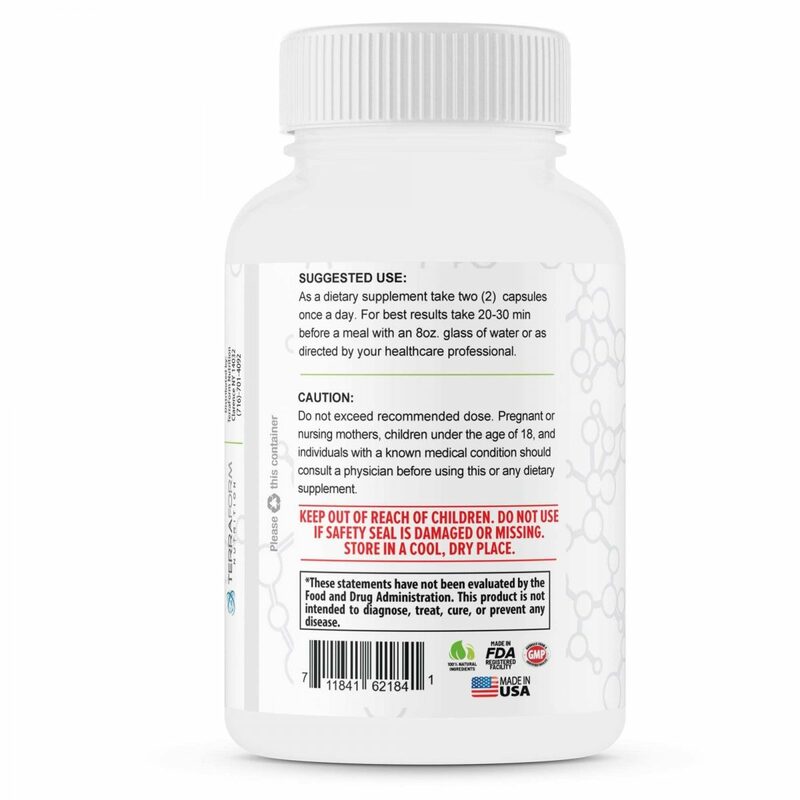 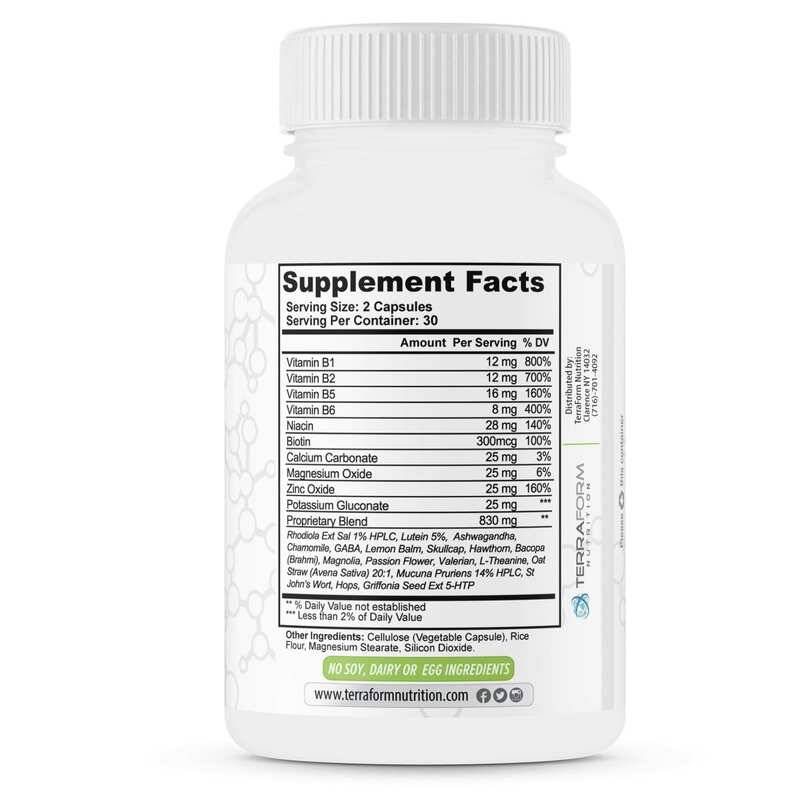 With over 25 different active ingredients, our formula helps cover some areas of vitamin deficiency that can lead to feeling anxious or down, as well as several ingredients that have been shown to have a positive impact on anxiety and stress*. 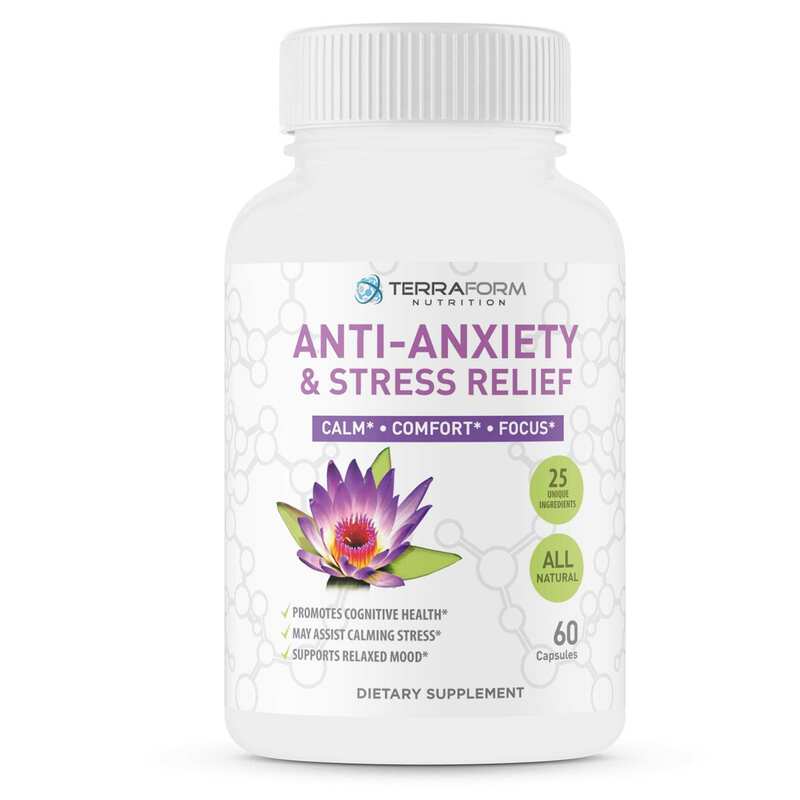 Ingredients like B Vitamins, GABA, L-theanine, Magnesium and 5-HTP are all believed to have calming qualities and help the body deal with stress when properly balanced in the body*. 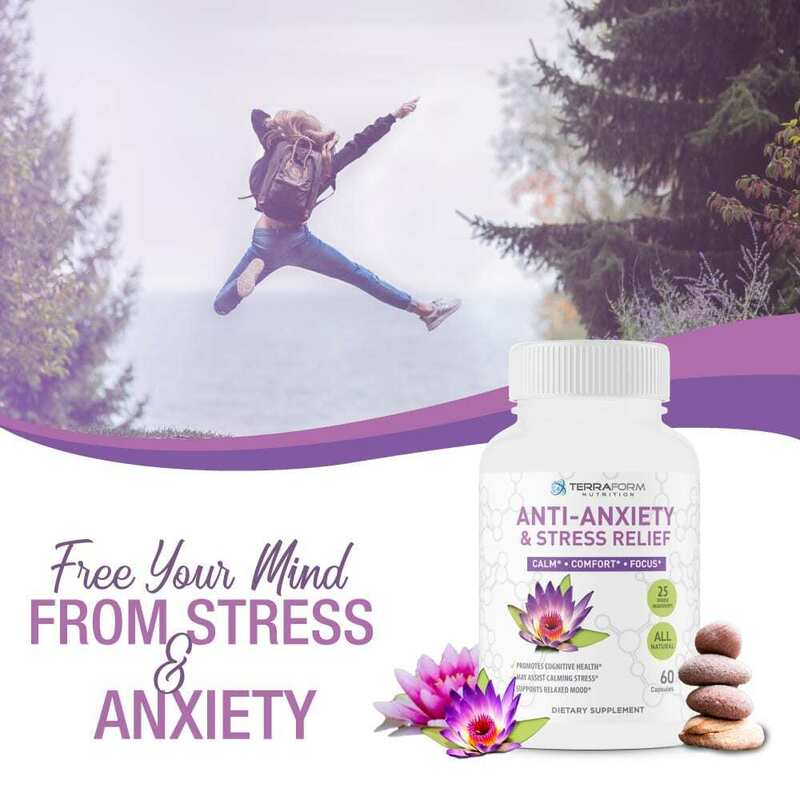 Adding in the number of herbal ingredients that are shown to ease symptoms of anxiety such as Ashwagandha, Bacopa, Chamomile, Lemon Balm, Passion Flower and St. Johns Wort, our anti-anxiety formula gives you the opportunity to get back your positive mood and relaxed life you once had*.